On brockert ground floor, one can find a campus map as a bulletin board. There’s only one difference. 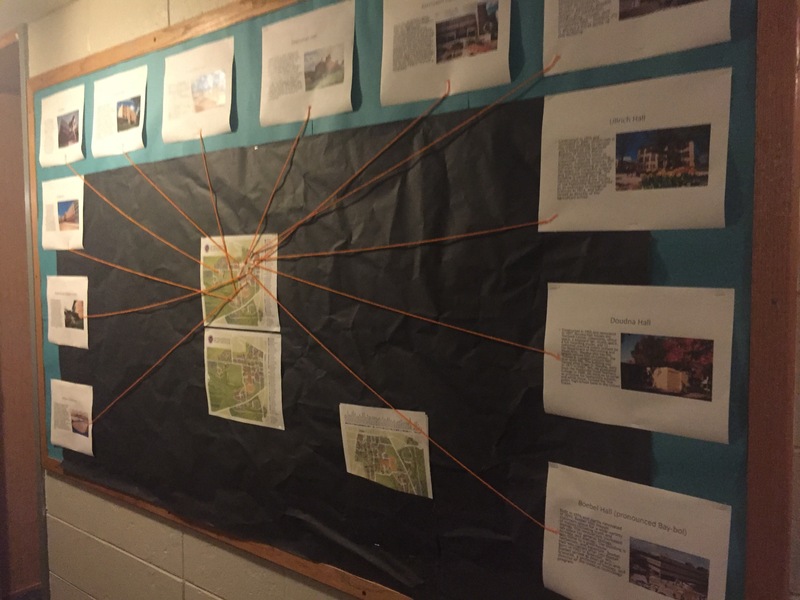 This bulletin board has many lines pointing to specific buildings around campus. Each one has its own picture and quick biography. There are also convenient maps that anyone can take should they need one. Previous Post Welcome to Platteville! Great idea of the extra maps!